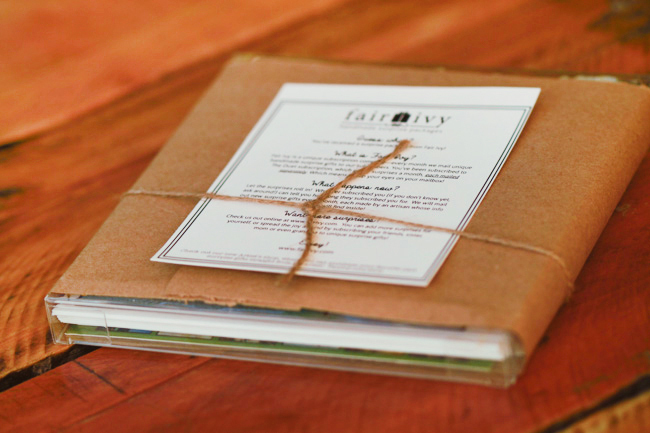 We just love a good, handmade stationery set….so of course we scheduled some as early as possible this year! 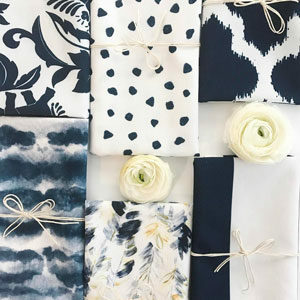 And we love watercolor designs, so it was a no brainer to choose this handmade watercolor stationery set, put together by Rachelle Levingston just for Fair Ivy. 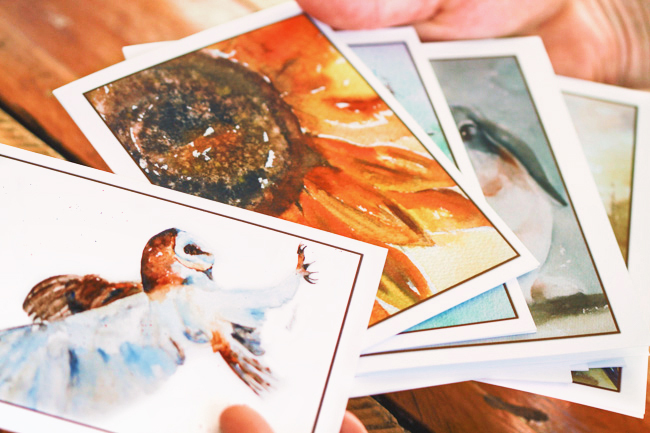 It included a wonderful collection, including a watercolor owl, watercolor sunflower, watercolor rabbit, watercolor hummingbird, and watercolor robin. Let’s delve right in! What’s inside? 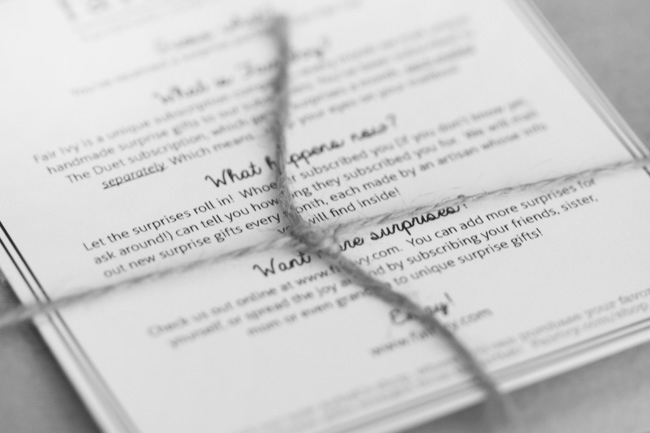 It’s always a big surprise to our monthly subscribers—who don’t know if it’s going to be jewelry, bath products, something edible….who knows! 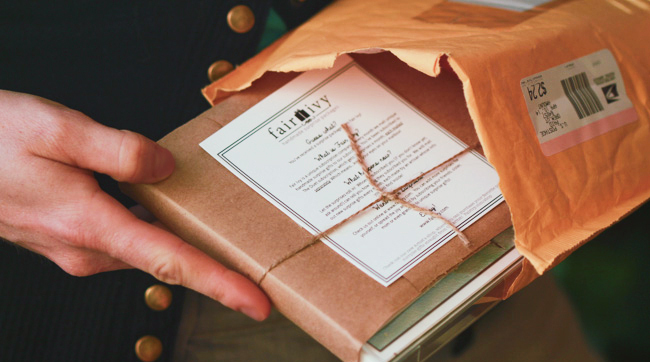 Outside of every Fair Ivy surprise there is a little note from us, explaining what Fair Ivy is and the fact that this is, in fact, one of the surprises. 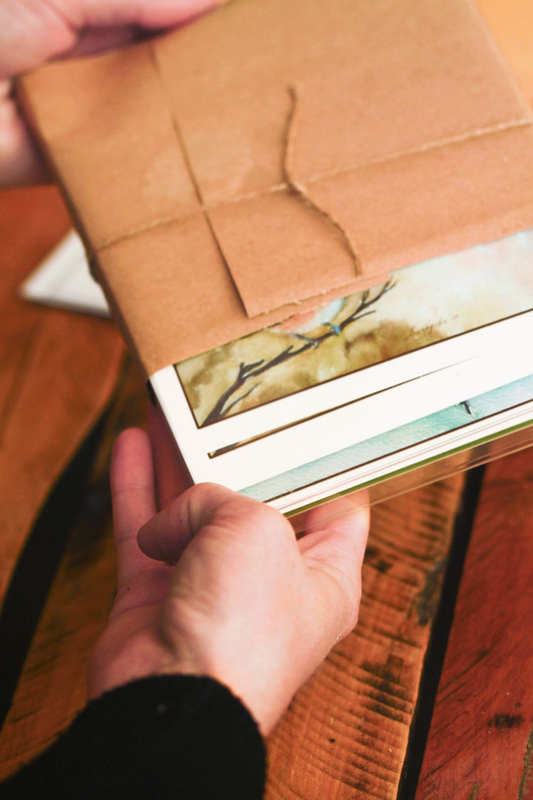 Since each surprise is sent from a different artist, with different packaging from a different place around the country, it could be rather hard to tell otherwise, ya know? 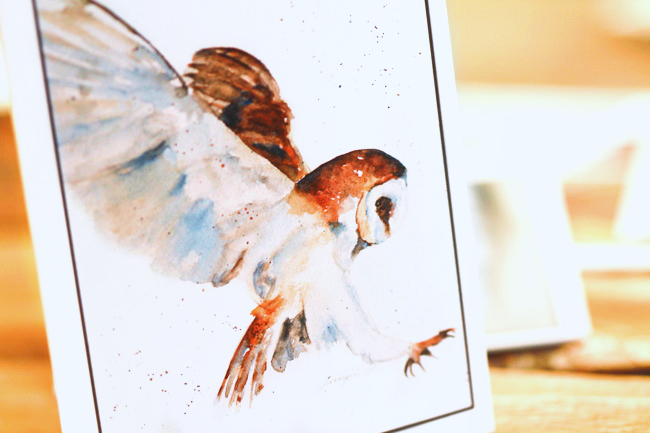 Aren’t these handmade stationery watercolor designs fabulous? It’s hard to choose, but I think my favorite is either the watercolor owl or the watercolor rabbit. 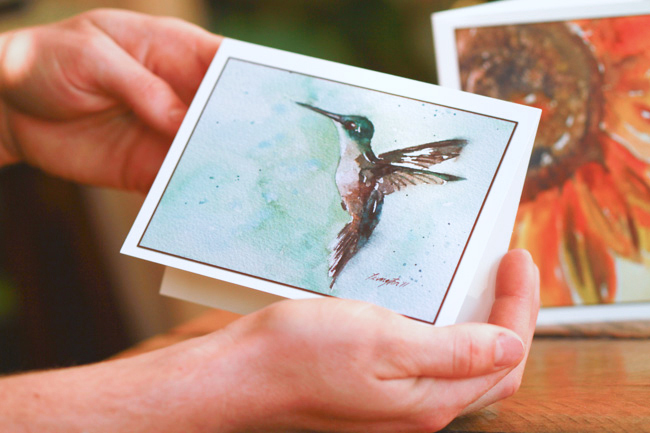 But the watercolor sunflower and watercolor hummingbird is so lovely too! 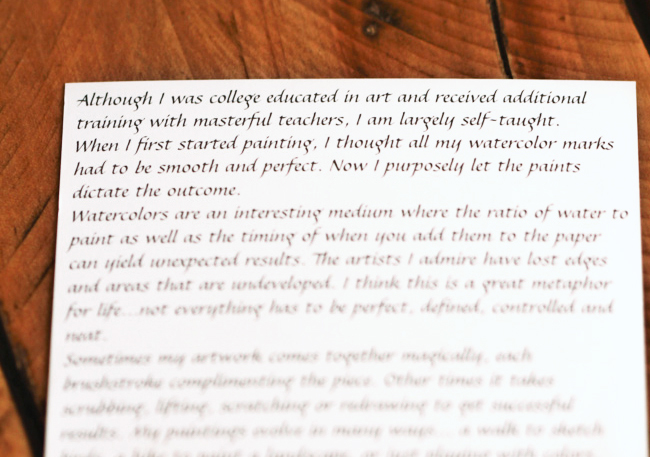 The full artist’s info card reads: “Although I was college educated in art and received additional training with masterful teachers, I am largely self-taught. When I first started painting, I thought all my watercolor marks had to be smooth and perfect. Now I purposely let the paints dictate the outcome. Watercolors are an interesting medium where the ratio of water to paint as well as the timing of when you add them to the paper can yield unexpected results. The artists I admire have lost edges and areas that are undeveloped. I think this is a great metaphor for life…not everything has to be perfect, defined, controlled and neat. 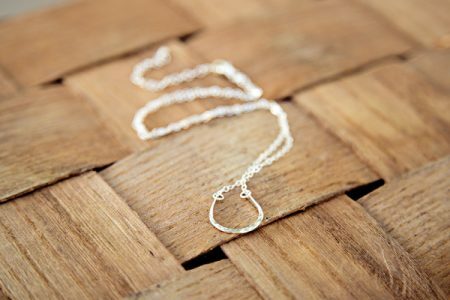 Sometimes my artwork comes together magically, each brushstroke complimenting the piece. Other times it takes scrubbing, lifting, scratching or redrawing to get successful results. 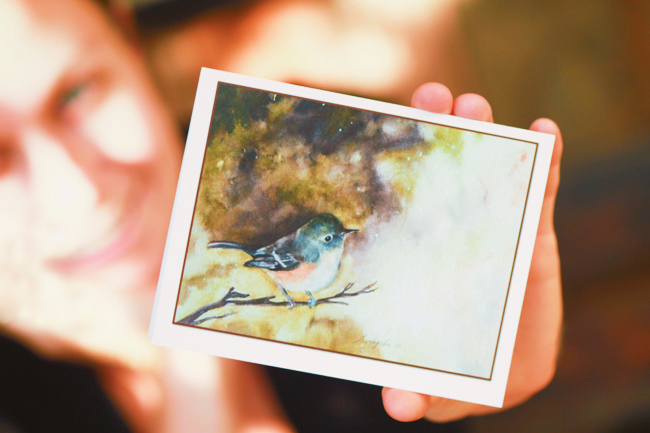 My paintings evolve in many ways…a walk to sketch birds, a hike to paint a landscape, or just playing with colors. When an idea strikes, I’m impatient to get it to paper. A single detail may drive the painting and then appear effortlessly from my brush. And now I am venturing to acrylics. I am humbled. I get to do what I love. Painting is purse indulgence for me and sharing it with others makes it even more amazing. 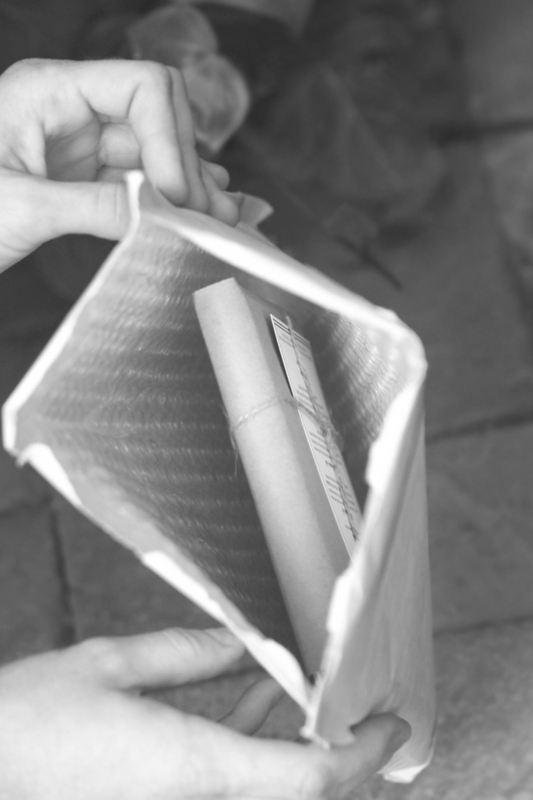 Please let me know if your art arrived safely and if there are any problems. 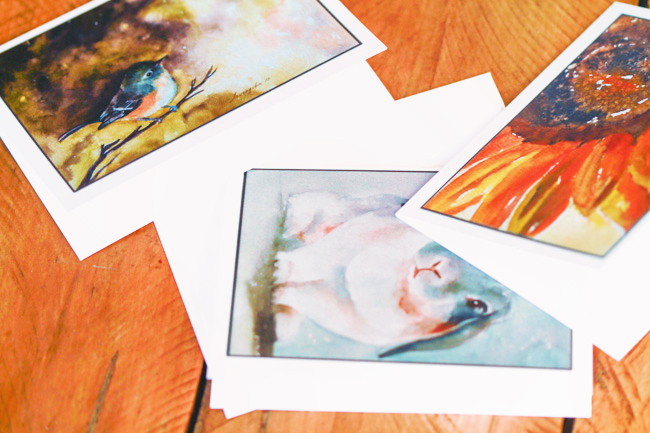 Thanks so much for choosing my art to go in your home.” The full stationery set included prints of 5 different original watercolor paintings (2 of each print). 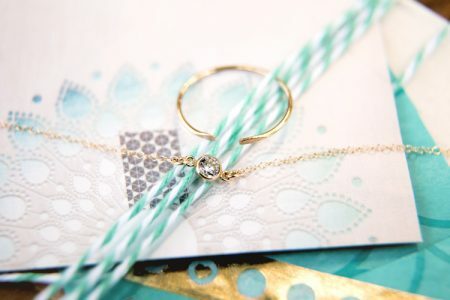 Missed out on this gorgeous surprise stationery gift in April but still want to purchase some? 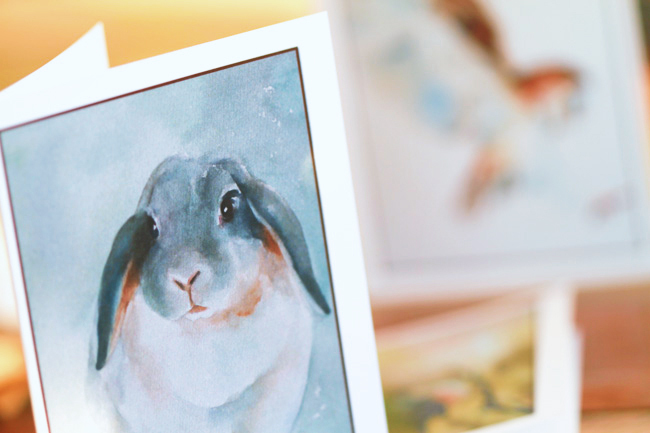 Head on over to Rachelle Levingston’s Etsy page to pick up a set, or buy individual prints like just the watercolor owl or just the watercolor rabbit! 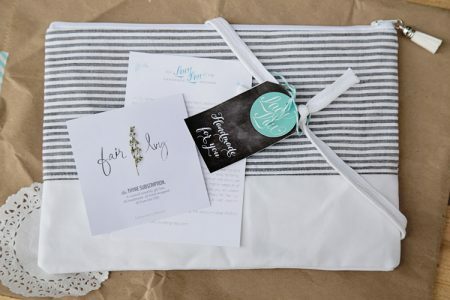 Want to sign up to receive monthly surprises from Fair Ivy, just like this lovely handmade stationery set?